Home SA Defence SA Defence Who is paying for Vaal River military clean-up? Who is paying for Vaal River military clean-up? The Organisation Undoing Tax Abuse (OUTA) wants to know where funding is coming from for the national defence force’s “emergency work” in Emfuleni. The civil society grouping originally formed to oppose the imposition of electronic tolls on Gauteng motorists has expanded its activities to cover a range of what it perceives as government ills. 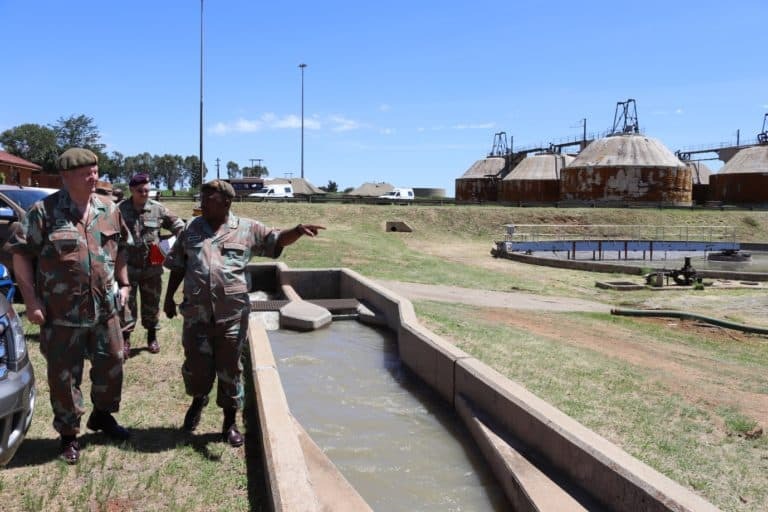 These include mismanagement of the national electricity generator and supplier Eskom and now OUTA has set its sights on the repair, maintenance and guarding work soldiers and troops from the SA Army’s Engineer and Infantry formations is doing at various sites along the Vaal River. According to OUTA portfolio manager for local government Michael Holenstein, an SA National Defence Force (SANDF) team drew up a detailed technical assessment and plan with a projected cost of R873 million for the deployment along the Vaal River. “The plan was presented to National Treasury, the Department of Water and Sanitation, the Municipal Infrastructure Support Agency, Emfuleni Local Municipality, Sedibeng District Municipality, Rand Water and the Gauteng Provincial Government. The SANDF is still waiting for the funding for this year-long intervention,” he said. In answer to the question “why the delay?” Holenstein said while OUTA welcomed the assistance of the national defence force “It seems the intervention was a knee jerk reaction by government”. There has, as yet, been no indication from the SANDF of the source of funding for what is being called the Vaal River Project. It would normally reside under the SANDF tasking Operation Prosper which is assistance to other government departments. One example was last year’s deployment of military healthcare practitioners to North West where an agreement with the provincial government will see funds for products and services supplied paid to the national defence force. With the Vaal River deployment currently rated a “project” and not an “operation”, uncertainty exists. Insiders note the Vaal sewage clean-up was first raised by Finance Minister Tito Mboweni during his medium-term budget address last October and ask whether he might elaborate on the funding aspect during this year’s national budget scheduled for 20 February.